On January 21, 2012 I suddenly became ill, and every single day since then. I still do not have adequate treatment. 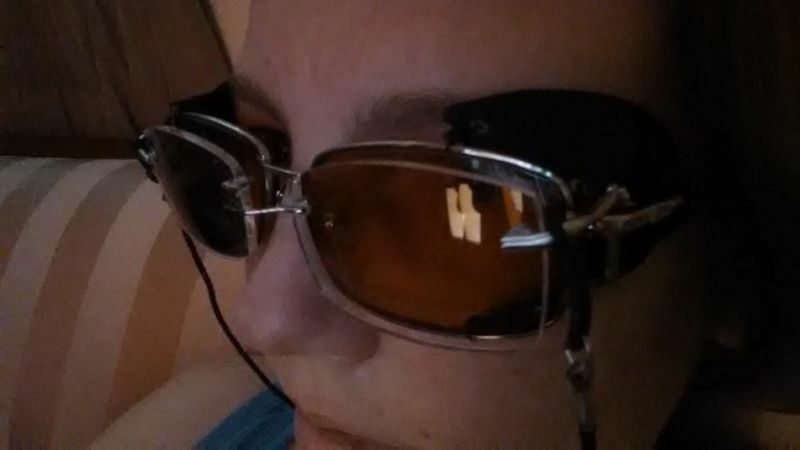 To summarize, I have severe eye sensitivity that causes headache, migraines, cognitive decline, and motion sickness, along with bouts of debilitating fatigue, roaming limb pain, and general sense of feeling unwell. 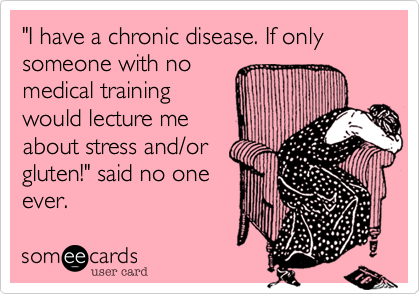 I have had many diagnoses, but I still call this a "mystery illness" because no diagnosis or combination of diagnoses seems to satisfy all of my symptoms and triggers. I've ended up on the edge of known medical science -- which I have discovered is actually quite large! There are more unknowns in medical science than there are knowns. This illness has become all encompassing in my life. I have to manage my symptoms and deal with its ramifications every single day. 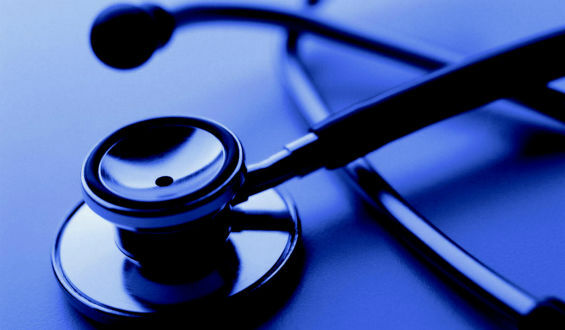 I see a doctor at minimum once or twice a month while we continue to explore treatment options. I immediately had to reduce my hours to part time and eventually lost that job. I got another job and tried very hard for a year to work full time, but I was incapable of it and lost that job as well. I decided to stop pursuing full time and part time work in January 2014 because it was extremely torturous on my body, and very unfair to employers. I continue to try to discover how I can be a productive member of society again. I am trying to have a better understanding of my limitations and explore and test different types of jobs and tasks to see how well they can fit within my limitations. The precise nature of my symptoms have changed over time but have always been within three primary areas: photophobia, fatigue and roaming limb pain. One of my experiments to minimize photophobia. This occurred first and manifested itself as a daily headache or migraine and very quickly added motion sickness and cognitive deficiencies. I call this "photophobia" since the vast majority of my triggers are related to my eyes, but it is not strictly limited to light alone. There are very defined and repeatable set of triggers which vary only in how sensitive the trigger is and the magnitude of the reaction. If I do not trip any of the triggers then I feel normal. Every time a trigger is tripped, I feel progressively worse. Each trip of a trigger compounds the magnitude of the reaction and requires at least a day or several days to stop being compounded. Unfortunately, the triggers encompass so much of living day-to-day life, that I constantly have to weigh getting a task done verses having pain. Light. Every bit of light adds to the problem, but some types of light are significantly worse, such as back-lit reading devices, blue light, and sunlight. I can do well under light conditions in the yellow to red spectrum (such as incandescent), but do very poorly or even get instant baseball-bat-to-the-head pain in light conditions in the "white" to blue spectrum (such as florescent light and white LEDs). Red light appears to be the best for me, allowing me to read for hours a kindle device at night lit solely by a red LED. Peripheral vision appears to be the most sensitive. Flashing light can wreak havoc on my wellbeing. Eye movement. This includes reading, scanning a room or shelves, and tracking fast moving objects. It is not just the eye movement itself but how far the eyes move. Reducing horizontal scanning by reading narrow columns of text or viewing a TV from a distance is quite helpful. Motion. Being in any sort of moving vehicle, such as cars, trains, and even elevators. Keeping my eyes closed and my head stabilized against the vehicle helps tremendously. I generally require a period of recuperation after being in a moving vehicle relative to the length of time I was in the vehicle, making long trips very difficult. Breathing. I have a very sensitive nerve in the back of my left sinus, and any manipulation of that nerve triggers all of my symptoms. This is generally triggered by air itself, but can also sometimes be triggered by specific odors. When I cease all nasal breathing, my symptoms are dramatically better. Cranial pressure. Any sort of pressure against the skull can cause a problem, including wearing glasses and hats, resting my head against a pillow or head rest, or even neck movement such as repeatedly nodding or looking up at shelves. Physical eye impact. This includes the obvious means of touching the eyes such as contacts and eye drops, yet also includes the not-so-obvious such as wind and the expand and contract impact caused by large temperature changes (coming indoors after being out in the cold). 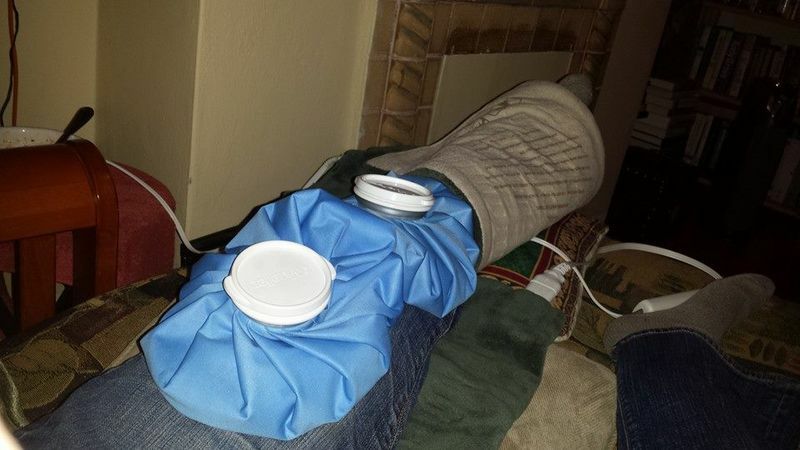 Using heat and ice to manage limb pain. I've grouped these two symptoms because they seem to be hand-in-hand. Triggers and treatments for one seem to be the same for the other. The fatigue started two years after the photophobia and progressed over a month's period until I was bedridden. I now fluctuate between periods of being bedridden and perfectly fine, averaging at mostly struggling to move around. The roaming limb pain started once the fatigue had completely set in. This also fluctuates between periods of being in so much pain that I am bedridden and being perfectly fine, averaging at a low-grade feeling of being uncomfortable. The triggers are generally entirely confusing and no where near as clearly defined as those for my photophobia. However, I have stumbled upon some correlations. Post-exertional malaise. The more energy I put in -- either physically or mentally -- the more fatigue and limb pain I will experience later. This doesn't occur 100% of the time. If I am in an episode of fatigue and pain then exerting energy will make it worse, while if I am not in an episode I can do work and recover from it like a normal human being. However, it seems I can induce a fatigue and pain "episode" if I consistently maximize my physical and emotional limits for a week or two. Sleep quality. The better my sleep, the less fatigue and limb pain I have. The more rotten my sleep, the more fatigue and limb pain I have. The quantity of sleep is not factor. If I have 5 good hours of sleep than I am fine. If my sleep is of extremely low quality, then it doesn't matter how much I sleep at all, I will be suffering greatly. My sleep quality seems to vary drastically without a seeming trigger. I do know that the more disturbances that occur during my sleep has a great impact, so I have taken lots of steps to ensure my sleep won't be disturbed. This has helped greatly, but I still get random episodes of insomnia and hypersomnia and completely rotten sleep that seem to have no rhyme or reason. The issue of sleep does bring up a chicken or egg question: Is sleep a trigger for my fatigue and pain, or is what causes my fatigue and pain also causing poor sleep? Many different diagnoses have been suggested over the years, but none seem to fit well. My doctors have currently settled on a combination of chronic migraine and fibromyalgia. They are no longer looking for a cause of my symptoms, and are focusing solely on management through medication. Chronic Migraine. It is a chicken or the egg question: Do I have chronic migraines that are causing photophobia, or do I have photophobia that is causing migraines? I lean towards believing that I have some other condition that is causing the photophobia, which is in turn causing the migraines. Fibromyalgia. Fibromyalgia is surprisingly a disease without a tremendous amount of agreement over what exactly it is within the medical community. However, after researching the opinions of several of the top fibromyalgia experts I have come to mostly agree that I likely do have fibromyalgia. My presentation doesn't fit entirely well with those of other patients with fibromyalgia, though -- for instance, my pain generally is focused on my limbs. Other patients commonly have pain in the trunk of their body. However, I recently realized that basically all of my skin has hurt for years, which is why I haven't been able to enjoy a massage since this whole thing started. The question, then, is where did it come from? My headache doctor, Dr. M. Levin, believes that fibromyalgia can be induced when there is long term pain -- that basically, I have fibromyalgia created by my chronic migraines maxing out my nervous system for too long. This could explain why my fatigue and roaming limb pain set in after 2 years. New Daily Persistant Headache. NDPH is defined by a headache that starts suddenly one day and never goes away. But, with proper trigger management I can go days without experiencing a headache. It was difficult for me to discover that my symptoms were being caused by my eyes, so I wouldn't be surprised if other people with NDPH may actually have a condition that is very similar to mine. I believe that NDPH needs to have more research before we can conclude that my condition is the same as others with NDPH. Exophoria. (related: Exotropia) It is known that these conditions can cause headache, and my symptoms are greatly reduced when treating my exophoria. I wonder, though, if I have primary or secondary exophoria. A team of eye doctors who tested me believe I have symptoms of a traumatic brain injury, but my MRI and CT show no obvious signs of damage. Eyes can have issues with binocular synergy, which requires them to take extra effort to ensure they are working correctly. Although a person is not seeing double, the body could still be expending extra effort to maintain binocular alignment. This can be tested by having the patient focus on an object, cover one eye, then have an observer watch what the covered eye does when the eye is uncovered. The patient has proper binocular alignment if the eye does not move when uncovered. The eye will move when the patient has exophoria or exotropia. Trigeminal Neuralgia. The issue with the nerve pain in my left sinus makes it seem like I could have trigeminal neuralgia. However, the pain is constant (when untreated), has no refractory period, and has clear trigger management even during an "attack." There also seems to be a direct link to this one sensitive nerve and the rest of my photophobia symptoms and triggers. As time as gone on, it seems possible I have a form of atypical trigeminal neuralgia. It appears common triggers for trigeminal neuralgia -- wind, cold, smiling -- are also problems for me. My whole face can hurt and the pain can follow down the nerve in my left arm to my index finger and thumb. If my trigeminal nerve, and related nerves, are afflicted with a neuralgia it could explain the headaches, migraines, and random nerve pain. I haven't found a cure or treatment that brings me even close to normal. I have tried almost 100 different treatments, and still have a laundry list of ideas to try. Some of the things I have tried are: nerve blocks, diet changes, acupuncture, chiropracture, massage, air purifiers, lots of different supplements, and lots of medication, including Periactin (cyproheptadine), Topamax (topiramate), propranolol, nortriptyline, verapamil, Neurontin (gabapentin), and Lyrica (pregabalin). Fortunately, I have found several ways to make me functional. Before I started using these, I was rolling in bed in agony for half of every single day. So, bringing me up from that to happy and smiling is not something to overlook! Lifestyle changes is the primary means of my being able to function. Large, wide brimmed hat. My peripheral vision (both the top and sides) appear to be the most common source of my symptoms. Just totally blocking my peripheral vision with a hat brings tremendous relief. Migraine glasses. I wear glasses with lenses made by TheraSpecs put into super light frames by Silhouette. The lenses also contain a prescription that reduces pain caused by eye strain from a minor astigmatism and moderate exophoria. I also have gotten glasses from AxonOptics -- I believe they are both great companies. Red-tinted screens. I use Twilight on my Android phone, f.lux on my Windows machine, and Redshift on my Linux machine. Using a very saturated red tint and low brightness makes the difference between being able to use the device for a few hours, and feeling like someone struck me on the head with a baseball bat after just glancing at the screen. Moist air, and general hydration. I keep my home moist with a humidifier running whenever needed -- such as during cold, dry weather. I keep a face mask with me at all times which will keep dry air moist, or block the wind from blowing into my sinuses. I need to ensure my sinuses keep moist, but using saline or other nasal moisturizers actually make things progressively worse by removing the body's ability to moisturize naturally. I use natural methods, like drinking a lot, ensuring my skin doesn't dry out, and avoiding medication that causes dryness, like Neurontin (gabapentin). Avoiding triggers. The biggest trigger is using a computer (back-lit, wide screen), so I strictly minimize computer time or do activities I can do with my eyes closed (touch typing with a screen reader). Due to the small size of a smartphone's screen (minimizing eye movement), I am able to do the majority of the necessary computer work on my phone. 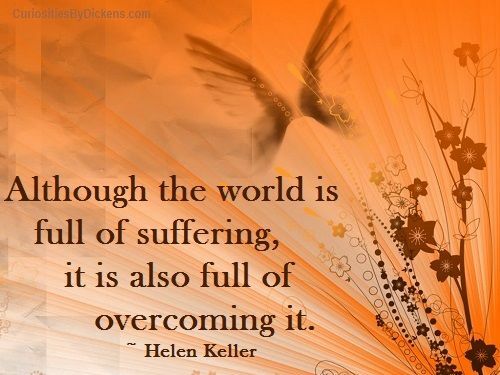 Unfortunately, avoiding so much does have a huge negative impact on how I can live my life. I also have to avoid: driving, shopping, riding in transportation, most lighting environments, and being outside in the sunlight, cold, and wind. 100% trigger avoidance is impossible due to the huge impact on my ability to live my life. I will knowingly engage in a trigger (most commonly, using a computer) and accept the consequences of the pain of that action. Sometimes things just need to get done. And sometimes I am just so bored I need to engage in triggering activities in order to keep my spirits up! Medications haven't shown to bring a dramatic improvement to my health, but a few do help me to squeak by. Ativan (lorazepam). This is the miracle drug for my motion sickness. It is so effective, my motion sickness is basically a non issue because this will entirely eliminate it. Pain medications, such as hydrocodone and acetaminophen. Pain medications only treat the pain, leaving everything else still there, such as motion sickness, fatigue, and cognitive decline -- the latter being the most significant! If I push through a trigger using pain medication, my pain may not increase but I will get dumber by the minute until I turn into a blubbering human being. Using pain meds is incredibly handy, though, when I do need to engage in a trigger. In order to ensure I don't become tolerant of them, I try to keep their use to a minimum. Botox. After the 3rd treatment, it seemed clear that a typical botox treatment for migraines would significantly lower my trigger sensitivity. Although this isn't a cure, it does allow me to engage in a trigger for hours before symptoms appear. This is in contrast to times when my sensitivity is so acute that a trigger can become unbearable after 15 to 30 minutes. Although, after 2 years or so I no longer became certain Botox was helpful. It would trigger high migraine sensitivity for a week after injections and it was uncertain I ever achieved a better state as time went on. Lyrica (pregpentin), and the related medication Neurontin (gabapentin), effectively removes my roaming limb pain at even low doses. Myneurologist wanted to see if these types of medications will also treat my headaches at much higher doses. Neurontin caused severe mucosal dryness which made my sinus pain unimaginably unbearable. Unfortunately, higher doses of Lyrica triggered mania. Ventolin (albuterol). This was a surprise. I have nighttime coughing which my doctor thought was perhaps not GERD at all, but actually a peculiar presentation of asthma. In mid January of 2016, the very first dosage I had of albuterol completely eliminated my fatigue and limb pain! I was fatigue and limb pain free for roughly 5 weeks before I became sick again. We're still trying to figure out what happened. The answer to what exactly is wrong with me is still up in the air, and it seems I have stepped into the space of theoretical medical science. Overloaded nervous system. One idea floating around the medical community is that consistent stress on the nervous system could cause it to "max out" and become overly sensitive to stimuli, causing pain, fatigue, and a general sense of malaise. This is almost impossible for science to narrow down and study, so this will likely remain as merely an idea for a long time. From what I know about my body, some of the things that could have caused my nervous system to overload is: excessive computer use for 15 years, eye strain from exophoria, pinched sinus nerve, chronic dehydration, Epstein Barr virus (I had mono in 2001), tick-born disease (I had several ticks when living in New England, and a tick scare a month before symptoms started), untreated asthma, and chronic whiplash (I had an accident the year before). I don't know what precisely could have overloaded my nervous system, but I tend to believe confluence of all my symptoms could be caused by an overloaded nervous system. Pinched sinus nerve, otherwise known as intranasal contact point headaches and Sluder's neuralgia. In May of 2015 I started to do breathing exercises to try to stimulate the vagus nerve based on the idea that vagus nerve stimulation was helpful. I had a horrible time getting enough air with these exercises, and each one triggered a migraine, and massively raised my trigger sensitivity for 2 weeks. I was suffering. While laying there curled in a ball suffering one day, I realized that every breath I took was causing a fluctuation of my pain, and it seemed to be coming from the back of my left sinus. I pinched my nose shut and breathed through my mouth and after 20 minutes I was finally pain free. This has led me down the path towards the theory that everything that is wrong is related to this one nerve. I went through my MRI and discovered my nasal septum is deviated and touching the wall of my left sinus. I went to 4 different ENTs and they all confirmed I have 2 contact points in my left sinus. But, the nervous system is on the edge of medical science and so the medical community is not in agreement that intranasal contact points are capable of causing pain. Consequently, I can't get surgery to remove the contact point approved under my insurance, and since I've been out of work for so long, I can't afford to have the surgery myself. Freeing the pinched nerve is not a slam-dunk proposal. It is possible that the nerve isn't pinched at all, and could just be an overly sensitive nerve regardless of what is physically touching it. The surgery itself also has a chance to further aggravate the nerve potentially causing permanent excruciating pain. Due to these risks, I can't yet justify taking on a huge financial risk as well. Poor oxygen circulation. My doctor diagnosed my nighttime coughing as asthma and started treating me for it. On the very first dose of albuterol my fatigue and limb pain were eliminated. This of course begs the question why? But no one has any clear answers as to why. I've found one other person on the Internet who encountered this same reaction. One possible theory is that I have poor oxygen circulation, which causes my extremities to feel pain and induce persistent fatigue. Increasing the amount of oxygen my lungs could absorb could be helping the amount of oxygen reaching the rest of my body. Sjögren's Syndrome. This is a condition where there is progressive dryness across the entire body, from the skin to the organs. Specifically, eye and mouth dryness are the primary complaints. This theory of whole-body dryness seems to fit with the problems I have, such as dry eyes, dry sinuses, dry skin, dry *ahem* other things, including chronic dehydration and issues caused by dehydration like kidney stones and medication-induced tonic clonic seizure. The dry eyes and sinuses could explain my photophobia, and general issues of dehydrated organ systems can explain fatigue and random pain. However, I don't fit the diagnostic criteria for Sjögren's . It specifically requires dry mouth, which I rarely complain of. The diagnostic criteria also excludes anyone who is on Wellbutrin (bupropion), which I am. Even if I don't have Sjögren's specifically, I could have a whole-body dehydration problem that may have been caused by something else, such as taking bupropion. Unfortunately, if I do have bupropion-induced whole-body dehydration, it appears that stopping taking bupropion will take years -- if ever -- to recuperate. Given how well bupropion has been for keeping my mood stabilized, I have decided to not stop taking bupropion. There is no cure for Sjögren's, just managing it's symptoms. Even with managing symptoms, there is no significant prescription medication that is helpful. So, it really doesn't matter whether I am diagnosed with Sjögren's or not. I have been going on the basis that I have something like Sjögren's, and actively treating issues related to dryness and dehydration in ways that people in the Sjögren's community do. So far, it has been helpful. Chronic fatigue syndrome. Extracting the precise difference between CFS and fibromyalgia is actually pretty difficult. Both conditions have symptoms related to fatigue and idiopathic roaming pain. Generally, if someone primarily complains of fatigue then they get diagnosed with CFS, and if they complain primarily of pain than they get diagnosed with fibromyalgia. Some fibromyalgia experts believe that they are one in the same. 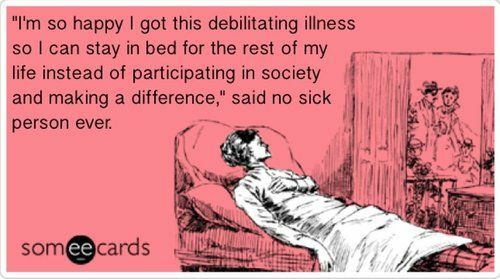 I have been diagnosed with fibromyalgia. But, I don't fit in well with other fibromyalgia patients -- their pain is different, the experiences don't match with mine. On the other hand, I fit much better with other CFS patients -- their pain is much more similar to mine, we share more similar experiences. Given the nature of these two conditions, it is probably impossible to say whether I have either, both, or neither. But, also given there are no successful treatment options for either, it probably doesn't matter which my doctors believe I have! Post viral syndrome. It is difficult to extract the research into PVS and CFS, but I felt it was warranted to discuss PVS separately. The general idea is that a viral infection from something common like the flu or Epstein Barr, or something more insidious like a tick-born disease, could create long-term continuous havoc on the body, causing symptoms like fatigue, roaming pain, and headaches. Proving this is the cause of the problem is extremely difficult, and then treating it is doubly so, generally require antiviral or antibiotic medication for months or years. I have decided to not pursue this avenue because it is not accepted by insurance companies, and the costs for all the blood tests and medications are astronomical.